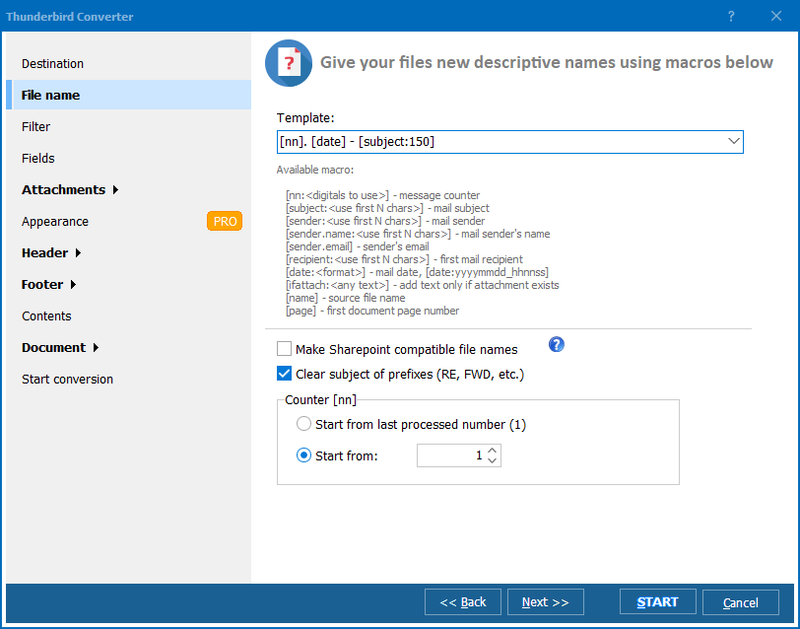 Total Thunderbird Converter is a piece of software, which automatically detects Thunderbird-based files. With this converter at hand, you do not need to export your Thunderbird emails. All you do is open the converter and view the file tree. You can archive your entire correspondence saving emails as TIFF documents. Total Thunderbird Converter features a variety of editing options, which allow you to, for example, add page numbers to TIFF copies. Thanks to its friendly interface, nobody has difficulty operating this program. 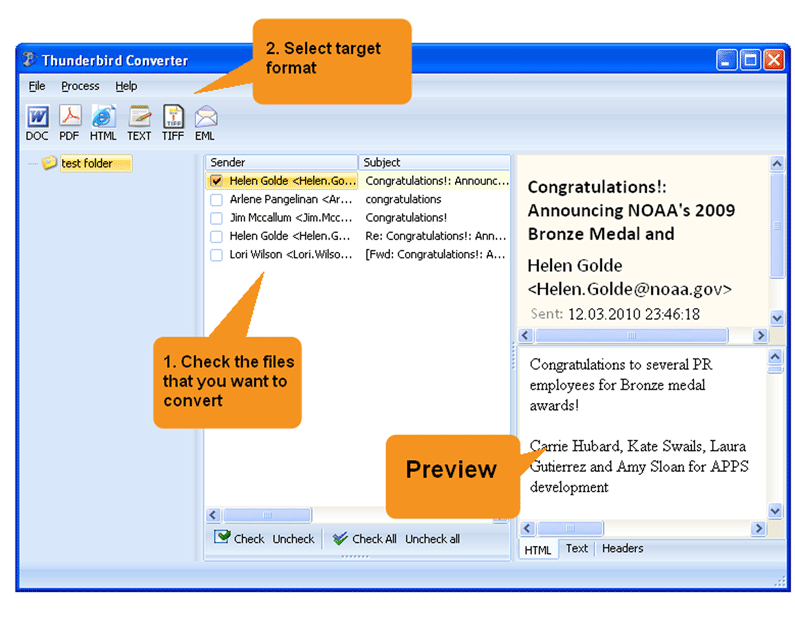 If you have installed Total Thunderbird Converter, launch it and navigate the file tree. Specify the directory, which contains source messages and view the list of emails, which you can see to the right of the folder tree. Use the mouse to tick the emails. If you are going to save the entire correspondence in TIFF, just press Check all. The program will check all the messages instantly. Set destination for your TIFF copies. Set appearance for your TIFF files. 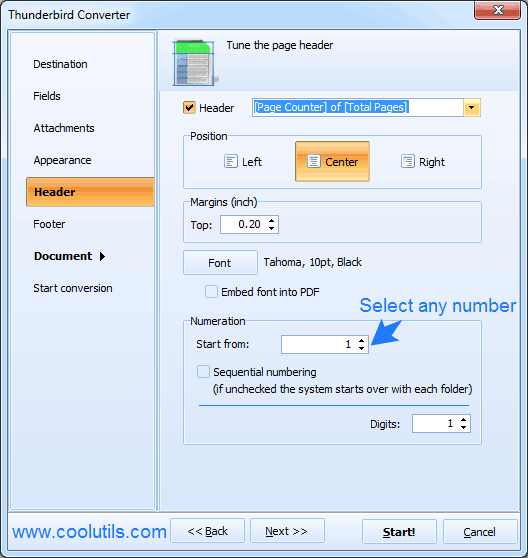 Header/footer options allow you to add page numbers and other elements to your files. Select the needed option in the drop-down list near the header/footer checkbox. Select position (left, center, right) for page numbers. Also, here you can set margins, fonts and numeration mode. In the Document tab, you can adjust paper size and compression mode. To review all the settings, select Start conversion. To actually start conversion, press Start. Command line option allows you to use this program without launching interface. You can download the free 30-day demo version and make your own opinion about this utility. 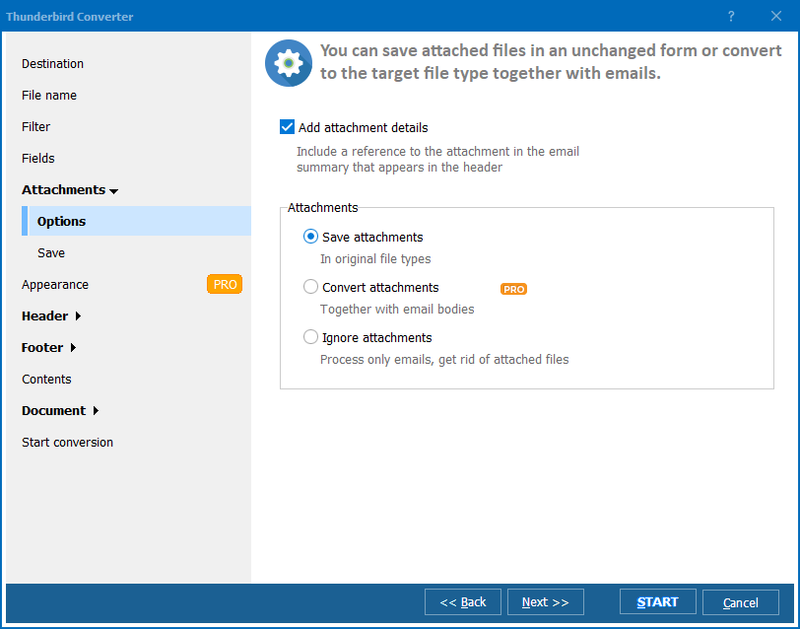 How to migrate from Thunderbird to Outlook?